War-city relationships had long been studied by scholars regarding wars’ sudden impact on cities. Studies typically focused on one specific event’s impact on urban military, politics, economy, or society. This approach, however, treated war’s impact on cities as only temporary, hindered opportunities to reveal multiple political regimes’ spatial competition through war-oriented city planning and construction, which is crucial for city development, and their resultant urban form changes through time. 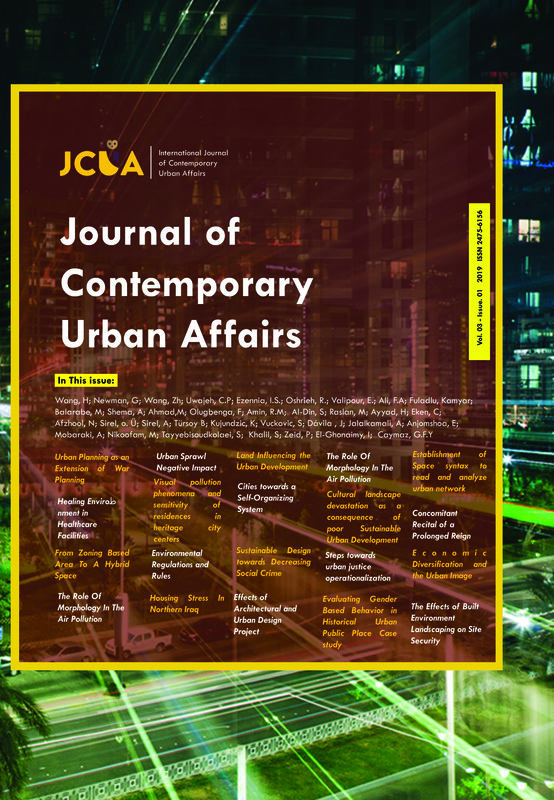 In response, this study has examined city planning and construction activities during the short time gaps between multiple military conflicts, with various military objectives, and conducted by different political regimes in Shenyang, China. In accordance with archival research, a space syntax axis analysis has been used to quantify spatial dynamics throughout war-peace-war cycles to explore the impact of military-oriented planning on city-scaled development. We have found these planning strategies, initiated by specific military goals, acted as extensions of war planning, segregating the city and causing urban fragmentation. They also acted as a driving factor which promoted modernization of the city in the early 20th century. We conclude that wars oriented planning can alter a city’s development track and impact its structure and form through the creation of internally connected but isolated urban districts.